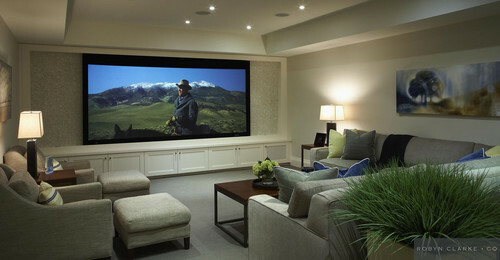 Technology is only one aspect of media room design. 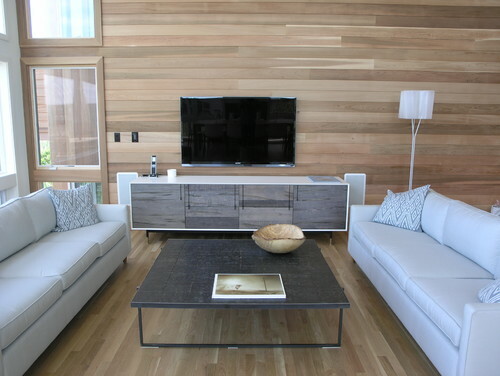 The right furnishings also are key to creating a space in which family members will want to gather to enjoy TV, music, video games and digital media together. A media room can be the hub of the house, "so it's important to make sure it's comfortable and that nothing is too precious," says interior designer Julia Buckingham of Buckingham Interiors + Design. Whether you're opting for a full home theater setup with a projection TV, or a more low-key approach that simply allows you to enjoy multimedia devices as a family, you'll want to create a versatile space that will function well even as technology evolves. Plan enough seating. Once you've tricked out your room with a TV and a sound system, you'll want to make sure you have enough seating. Furniture manufacturers often say how many people a sofa or sectional will seat. Buckingham says pieces with 20- to 22-inch cushions are ideal, as they give each person enough room without having to sit on a seam. To break up the bulk of a sofa or sectional, Buckingham likes upholstering the piece in two fabrics, as she did in this space. 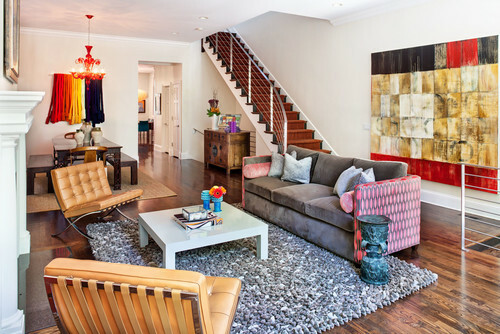 "I'll usually cover the back of the sectional in one fabric -- maybe the fabric has some sort of fun pattern -- and then I'll do the seat cushions in a complementary pattern," Buckingham says. Find the right coffee table or ottoman. Whether you opt for a coffee table or an ottoman, Buckingham recommends leaving an 18-inch gap between the piece and your seating to keep the space easy to navigate. It's also a good idea to use a piece with an accessible storage area so you can keep the top surface clear of remotes, magazines and coasters. "I've been using a lot of coffee tables with two levels, so there will be the top level and there will also be a lower shelf," Buckingham says. Choose a practical rug. 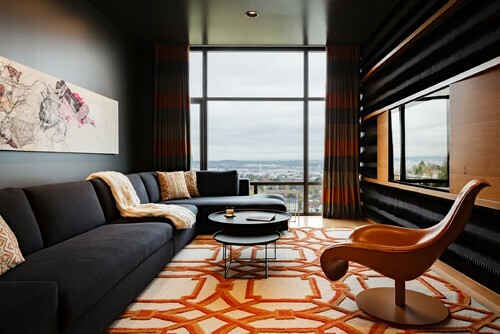 The right rug not only adds pizzazz, but it also dampens sound coming out of the speakers, helping to improve acoustics. Many people don't want to shell out big bucks for a custom rug, so Buckingham will choose a stock size --such as 8 by 10 or 9 by 12 -- and work with the furniture to fit it into the space. 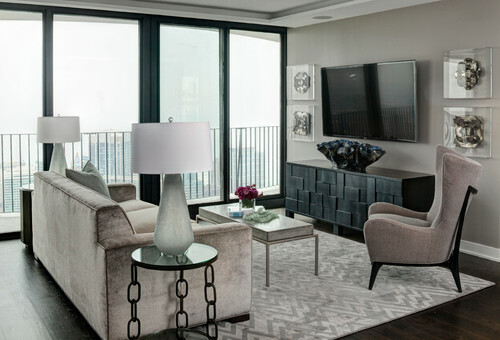 Rug materials are also a big consideration for Buckingham's clients, many of whom enjoy snacking in front of the TV. "Wool gets people nervous, because it's more expensive, but at the end of the day, if you spill something on it, wool is emollient and will repel liquid," Buckingham says. Light it right. Varied lighting sources can go a long way toward creating ambience and improving the view of the television. "I really like to have overhead lighting, particularly canned LED lighting," Buckingham says. "It gives a glow without the glare. You really need to have a soft-feeling light to really maximize the definition on the television." She also likes to incorporate multiple lighting sources, like a chandelier that creates a focal point or eye-level lighting for those who might not be interested in watching TV. After all, the media room is today's version of the family room. You'll want your whole family to feel welcome -- whether they're knitting or watching reruns of "Seinfeld." 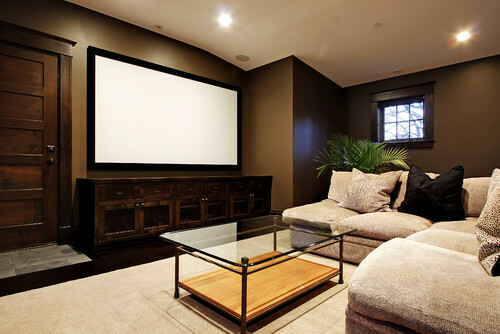 Tell us: Where do you watch movies and TV?